Extremism and terrorism are the two serious challenges globally; there are not necessarily of religious kind and revival of nationalism is even bitterer. Pakistan due to its history, geographic location and the Jihad culture in Afghanistan influencing Pakistan has engulfed thousands of lives of its citizens along with millions of Afghans and has made their societies so intolerant that generally lacks moderate mindset. Paigham-e-Pakistan is a recently published booklet: as a joint declaration and fatwa against extremism and terrorism with the consent of more than eighteen hundred renowned religious scholars and institutions of the country from all segments through the platform of Islamic Research Institute, Islamic University (IIUI) and has been signed by the President of Pakistan as state approval. Though it takes Pakistan as an Islamic state more than a Muslim-majority state and Islamic principles are highlighted to be the base in all spheres of the state-affairs to oppose the rhetoric of militants, who have raised their voice for Islamic law and has emerged as a byproduct of the Afghan war and Al-Qaeda and ISIS like international terrorists to impose their designed Shariah in form of TTP and other factions. It has quoted verses from Holy Quran and Hadiths while describing the brief history of Islam and the origin of Pakistan to justify the globalism that has pre-requisite of peaceful co-existence under the model of ‘Misaq e Medina’. This is being drafted in the light of Holy Quran, Sunnah of Prophet Muhammad (PBUH) and 1973 constitution that touches three major sorts of terrorism: against state institutions of Islamic Republic of Pakistan, innocent citizens who are non-combatants and any group involved in the armed struggle beyond state boundary. 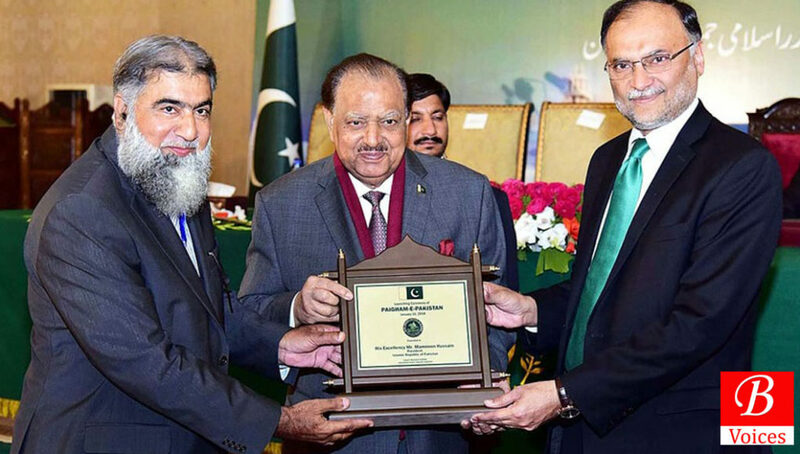 It is somehow appreciable and positive development by the religious school of thought in the country and serves as an effort to be added in a holistic approach for combating terrorism with other steps taken by the government: legislation of National Action Plan (NAP), military operations across the country and other concrete means. This step would help to combat religious kind of extremism and terrorism that currently has been the prominent internationally and in the region in general and in the country as well. The interesting part of it is the unity of all religious schools of thought, divided on a sectarian lens, where all the leading scholars acknowledge such responsible position and play their role accordingly. However, it seems to be only the soft interpretation of already existing methods on which it is based; neither the constitution nor Islamic principles are new but the hardliners who have been interpreting or targeting that has been theoretically countered with valid Islamic verses and the articles of the constitution. 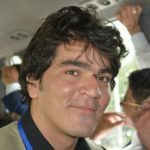 Laws against corruption, constitutionally acknowledged, does not guarantee its root-out and Pakistan has been still unable even to minimize it despite the presence of specific institutions for this purpose and so is true about extremism and terrorism and that indicates of missing commitment, mechanism, and approach towards these both. These both occur in our social life; an extremist approach that is being imposed at all levels and that too on artificially constructed emotional grounds, fortunately, this declaration has mentioned as something worst when the ‘imposition of any thought’ is considered wrong. Terming someone rebel should have some criteria; as to let the democracy grow, there should be a norm to criticize the policies. The terms of liberty, justice, equality, and democracy are obviously highlighted but the voices of people to criticize wrong policies of ruling elites are unnecessarily suppressed by discouraging to resist the wrongdoings of the government, being Naib of Almighty Allah that exercises the privilege of sovereignty despite acknowledging their worst role and human errors. Terming someone rebel should have some criteria; as to let the democracy grow, there should be a norm to criticize the policies and merely disagreeing with the policies either on ideological, technical, ethnic, religious, provincial or other basis should not be taken as rebellion otherwise it is the deliberate promotion of confusion among masses living in a state through a social contract that is the constitution, which they can ask to change through legislation anytime. Why democracy is relatively better than any other form of government is because the majority citizens, who are not permanently the part of state institutions by having government employment, still possess their constitutional stake in the state to have their representation in the most supreme institution of the country that is the legislative assemblies, both the parliament and provincial assemblies, and exercise this incentive to raise their voice for justice, equality and liberty for themselves. Liberty is not an independent element and overlaps with that of others, so, liberty needs to be limited to oneself rather touching extreme limiting that of others. So, defining the concept of liberty is as necessary as liberty itself while attempting to prevent extremism through allowing this human right for all the citizens of the country. Paigham-e-Pakistan goes beyond religious extremism and calls it taboo ‘Haram’, including the provincial and cultural ones but that creates a delusion, as Pakistan is a federal system, where provinces differentiate legally based on shared history, culture and demography, unlike state institutions that bear similar identities on the platform of a state. Hence, this declaration should have given this space to such differences along with sectarian ones, which are acknowledged and rejected at the same time; as it says of no sect in Islam but the presence of intellectual and scholarly difference, they can practice it without hatred, violence, and division with the core value of tolerance and the norm of ‘Agreeing to disagree’ should be meant for that. Hence, these technical errors should be considered, so that, colors of this pluralistic society become a source of strength and not weakness. These sponsored and well-organized platforms work more brilliantly to benefit from the weaknesses of society and institutions. The most important part of extremism, what misses is the facilitator and exploiter of extremism that then transforms the primary form of extremism into engineered one and then to violent terrorism. There are commonly identified factors behind extremism: poverty, unemployment, the role of powerful elites and the real-politics of states but the active platforms built for its manipulation is the main step and just like a centrifuge needed for enriched uranium. So, these sponsored and well-organized platforms work more brilliantly to benefit from the weaknesses of society and institutions. So, the opportunist exploiters and facilitator of extremism should be highlighted on the top to avoid the misuse of innocent individuals, including looking for ways to cut the very roots or factors behind extremism for long-term. Finally, this declaration also differentiates between state institutions when it specifies security institutions like armed forces separately from the government although terrorism doesn’t differentiate between people and institutions. So, targeting anyone should be taken as same rather drawing lines among them to indicate the intentions for curbing all sorts of violent extremism. It is indeed a positive development, in which religious scholars have gathered in such a huge number to jointly announce their solid stance for fighting these odds in a soft way but the grassroots level effects should be made ensured when such effectual minority interacts and impact majority people of such evolving society.